Creamy Garlic Mushrooms. This is a very quick, easy and delicious recipe, perfect as a side, serve on toast for brunch, or add to some lovely pasta! 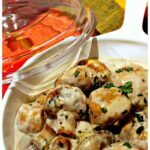 Our Creamy Garlic Mushrooms is an incredibly quick, easy and flexible recipe which allows you to make ahead, or serve right away. I often serve this with a nice piece of steak and pour the sauce over it. For this recipe, you can also go lighter and use a low-fat cream cheese. Adding a splash of white wine whilst the mushrooms are cooking is also delicious! So feel free to adapt it to your liking. 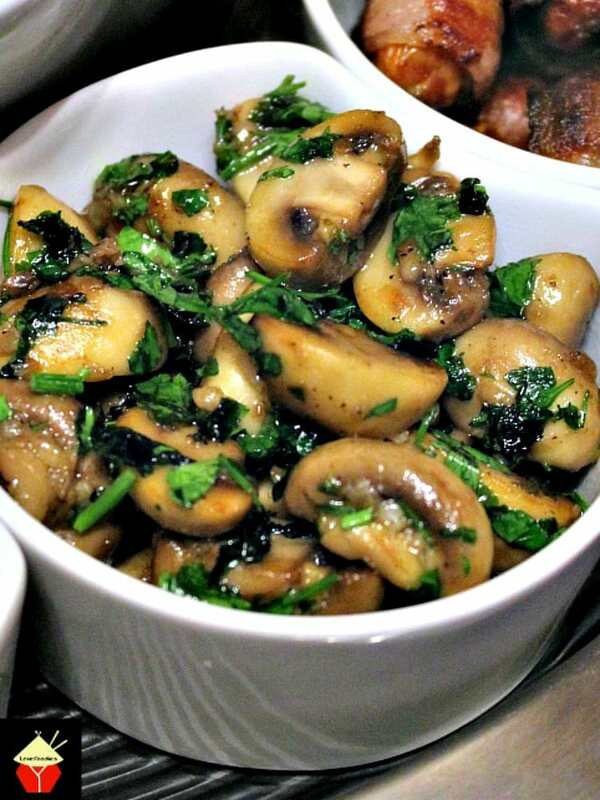 These creamy garlic mushrooms are our most popular recipe! With well over 1 million shares on social media, it’s definitely a popular side dish. Thank you to all of you who’ve written in and shared your photos of making this dish. 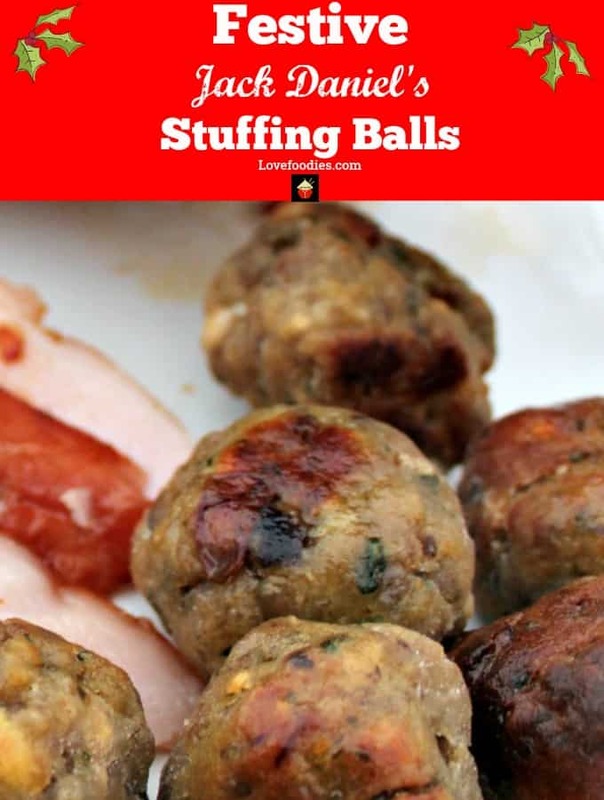 I know many of you have made it over Thanksgiving and Christmas, as well as for a regular weekday dinner. 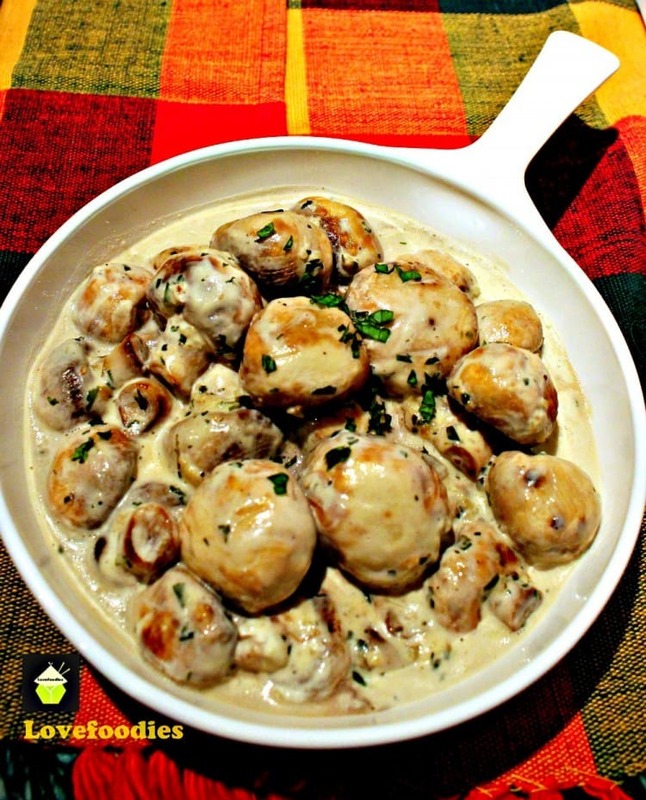 However you decide to serve these creamy garlic mushrooms, please do enjoy! I’ve added some suggestions at the end of the recipe to hopefully inspire you to change it around (if you want to) and create a wonderful dish your family will enjoy. This can be served as a starter, with some nice warm crusty bread to mop up the lovely sauce, or as a side dish, or as part of a pasta dish, or as a brunch, served on a slice of toast. The choice is yours, so please enjoy Creamy Garlic Mushrooms! Serve on a slice of toast for brunch, then place under the broiler/grill with some grated cheese. Delicious! Serve hot with anything you like! I often make this recipe to serve with a nice piece of steak, chicken or pork and use the sauce in the pan to pour over. it is also nice to serve alongside pasta, and for this, I would remove the mushrooms from the pan once cooked, and toss the cooked pasta in the cream sauce, then serve with a sprinkling of Parmesan over the top. The possibilities are endless and you can really use your imagination and experiment with the foods your family enjoy eating. Happy cooking! 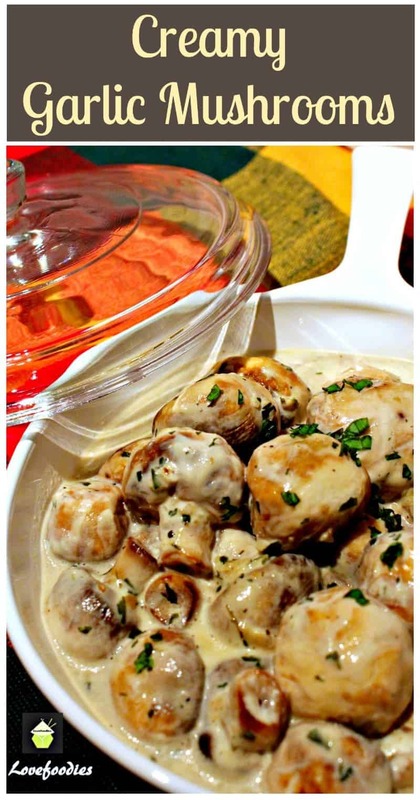 We’d love to hear from you and what you thought of our creamy garlic mushrooms recipe. Did you make any changes or add some other goodies? Let us know in the comments below. Thanks for reading and happy cooking! Here’s a few more delicious recipes for you to enjoy and they’re all easy too! My very favorite addition to a mushroom dish is freshly grated nutmeg. Yes! Nutmeg pairs very well, but add a little at a time towards the end of cooking until you find your own preferred spice level. This sounds absolutely delicious and I’m dying to make it. Would this pair well with salmon? could you add green beans for a casserole dish for Thanksgiving dinner? Outstanding mushrooms, didn’t have cream cheese so used sour cream, we all loved them, will definitely make them again. Sounds delish! I would like to serve this with a prime rib for Christmas. There will be 20+ people. How many ounces do you suggest? Also, Can I make in advance (morning of) and then put in the oven to reheat? Hi Lisa, as the recipe is for 2 servings, simply multiply by 10 and you will have enough for 20 people. Hope that helps and Merry Christmas to you and your family! Thanks. Do you think it would be ok to make In the morning and reheat? Or would that not work with the cream cheese? Hi Lisa, that should be fine to reheat, just make sure you bring it up to a high temperature slowly so the cheese doesn’t curdle. If it’s gotten too thick just add a splash of boiling hot water or white wine when you reheat! This was a simple and delicious side dish. I like the suggestion from another poster of adding wine or cognac, I’ll do that next time! Thank you for sharing. My update on this recipe. I dumped the sauce and rinsed off the mushrooms, reheated with some butter. I am afraid I just didn’t care for it. Sorry! I followed this recipe exactly and it didn’t work for me. I ended up adding a tablespoon of olive oil to get the mushrooms beautifully browned. The cream cheese didn’t work until I added a good splash of heavy cream and then it became a sauce. Nothing special. This is not a “keeper”. I have made a version of this with bacon and most of the other ingredients but not with cream cheese so this looks like a nice twist also love garlic, so when I saw the garlic in this recipe I had to check it out while thinking, “why didn’t I think of that?” thank you for this recipe! Oh I love this! Looks delicious! Quick question. I don’t drink a wine and know nothing about it 😬 But have always wanted to cook with it haha are there different types of white wine? Or can I just go to the store and find a bottle that says “white wine” in the wine &a liquor section lol thank you in advance! I love mushrooms! and will try it, adding a bit more olive oil and garlic (sorry, but I live in Italy). I would also let the mushrooms give out more of their liquid and add a !/2 glass of white wine. But I will try your version first and then my one. I would love to get your recipe on how you would do this? Love this recipe! To elevate it to company status, we add a heavy dash of cognac and fresh cracked pepper after adding the cream cheese. Simply cook for a minute or so at low simmer to evaporate the alcohol. Yum! Looks soo good, thank you. Had this wth our grilled pork belly and it was great!!! I can’t get your recipes. Over an hour spent. No recipes appear, only comments? Hi there! On some of the recipes you need to click ‘read more’ right under the photo and introduction, if you are using a mobile device. The reason for this is so the page will load faster for you. I hope that helps and so sorry you had trouble trying to get to the recipes! I have 2 questions…. First, I would like to try this using a pound of pasta. Would I have to double or triple the recipe? Second, my family loves mushrooms and I can never make enough of them. I would normally use 4 8oz cartons of mushrooms. Do I quadruple the recipe? I just made these tonight and two of us had them on a pulled pork sandwich using hamburger buns. I made just one carton, each of us had one sandwich, and there was just enough for each of us to top ours with mushrooms. Don’t think that answers your question, but hopefully it helps! That’s great news Stephanie and always so good when we get the thumbs up from hubby!! I’m allergic to cream cheese, what can I use instead. Hi Shannon, fear not! Sour cream or a thick plain yogurt, like a Greek Style yogurt, or creme fraiche all work really well with this instead of cream cheese. DELICIOUS !!! I used cream cheese with chives and also added a little cream. Hi Marilyn, So glad you enjoyed the recipe. It really is a lovely easy one and so flexible with the flavours. That sounds really delicious Tiffani! You have many recipes that I know I would love but I am on a low calorie diet and it would be so handy for me if the calorie count/nutritional info appeared as well. Is that possible? Hi Vini, SO glad you enjoy the recipes! We have recently rebuilt our website and are still in the process of adding new features. The nutritional value is on our list to work out how best to add it for our readers. So it is in our plan! In the mean time, I would suggest using an online counter for now. Thanks for writing in with your suggestion! Almost, but only almost the same: I snapped up one hefty handful of fresh spinach leaves in 1 teaspoon canola oil, to put 3 garlic cloves, grated and 1 cup of small, fresh mushrooms and a of finely chopped saladonion, the green part. Appointed ½ cup cooking cream and 2 chopped hard-boiled egg whites. Served with whole grain pasta and mixed salad. For salad dressing, I had the juice of ½ orange and salt and pepper. Gosh! My tummy is rumbling reading what you did!! It sounds absolutely delicious! LOVE this recipe, burgundy and dill seed added in the cool weather and a great white wine with tarragon in the warmer months, allowing the liquids to simmer out a bit before adding the cream cheese. Hi Cheryl, oh yes! I love the sound of your additions! (tarragon is my all time #1 herb!!). Thanks also for picking up that weight in the print version. I have no idea how that happened! I’ve added it and updated so it should be visible now after refreshing your page! Hi Deb, the addition of sherry sounds really nice! I love using sherry in my stir fry’s so I will try your suggestion when I next do the mushrooms! Thanks very much for writing in! Is it possible to use yogurt instead of cream cheese. I am allergic to Cream Cheese. Hi Chris, yes indeed. Plain yogurt, sour cream or creme fraiche all work perfectly with this recipe. Please enjoy! I made this using baby bellas and onion and chive cream cheese (that’s what I had on hand) I served it over eggs, and its delicious! Thank you for a great recipe! Hey Jessica! Thanks very much for taking the time to write in. I would never have thought to add baby bellas. That’s pure genius!! So happy you enjoyed the recipe and happy cooking! I’m not able to eat dairy, any suggestions of what I could use instead of cream cheese? This looks amazing!!!!! Hi Naomi, there are quite a few options. I’m not sure where you live, but if you are in USA, Trader Joes does a “Trader Joe’s Non-Dairy Spread” which comes in a red and white tub, and you would use that as you would cream cheese. Alternatively, you can also use a plain soy yogurt, or Tofutti brand cream cheese or their brand in sour cream. All of those will work very well with this recipe. Would it be ok to add some white wine to it? Hi Lori, yes indeed. I often add white wine. For this recipe, I would suggest 1/4 cup of white wine, add when you are cooking the mushrooms, but before you add the cream cheese. Bring the wine up so you see it bubbling, then you know the alcohol will have cleared, and then carry on with the recipe. It is delicious with the wine! Please enjoy and have a great weekend! As a wanna vegetarian, mushrooms are my best friend. I wanna dive into this bowl! These look soooo good! My family would devour these with a nice big juicy steak! Yum! I think “wow” and “I’ve got to try this NOW” covers it! 🙂 Yum. 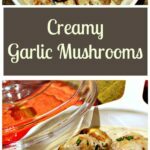 I must try these creamy, dreamy mushrooms!!! This recipe was fantastic! As per some of the other posters, I also used a little broth and white wine in the beginning. I’m wondering how this would work if the mushrooms were chopped or sliced? just curious if you think it would get too soupy?? Hi Kati! That’s great news that you enjoyed the recipe. I have done this using sliced mushrooms. What I did was keep the slices quite thick, around 1 cm / 1/4 inch thick, then pan fried them in a little olive oil until they were nice and golden and the liquid from the mushrooms had all evaporated. If you notice, when you pan fry mushrooms, there comes a point when the mushrooms change in texture and taste, once the water content has gone. That is when I like them the most! They seem to taste ‘beefy’! If you can do that and then add the cream cheese, broth etc then you should be fine. I would just add a little broth at a time until you get the consistency you want and it will be perfect! Thanks very much for your feedback and also letting us know what you added to yours! This was delicious. I did use Crimini mushrooms and Alouette -garlic and herbs soft cream cheese. For herbs I added fresh parsley and chives, Delicious. There are some of us not so hot on gravy and this just added that awesome flavor to the the Thanksgiving table. Thank you. Hi Lysa! 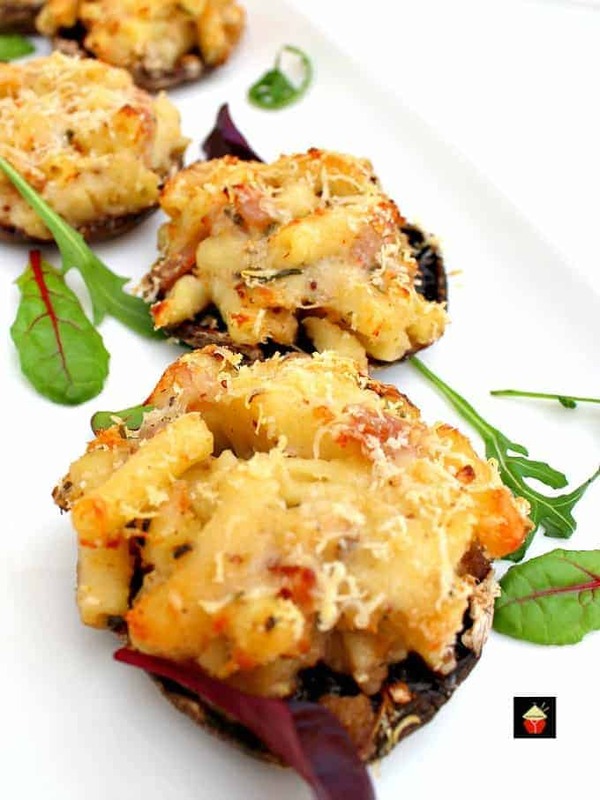 Crimini mushrooms do have such a wonderful flavour and texture, I also enjoy those too! Everything you described sounds absolutely wonderful and we’re so happy you chose the recipe to grace your special day! Thanks so much for your feedback and wishing you and your family a wonderful Thanksgiving! Oh, I also added about 1/4 cup of white wine, simply yummy!! Oh yes! A splash of white wine really does lift it! Wonderful!! These were awesome!!! Definitely need to double the recipe if more than 2 people. I just wanted to stop by and tell you I made these once. they came out very good and creamy. Thank you for the inspiration. I believe I made them when I had baked chicken. Have a great day. Hi Deedra, That’s great news! Glad you enjoyed them and thanks for letting us know. We always love to hear back from our foodies! I’m wondering if this could be added to a crock pot? After sauteing the mushrooms and garlic? Would be easier to take somewhere and keep warm…thoughts? Thanks! shoot…just saw some other answers to this…sorry! Made these this evening with steak, garlic and rosemary roast new potatoes and asparagus and they were amazing! Has anyone made a crockpot full of these for football season. I just wondered if they will hold up to a couple hours in the crockpot on low/warm? so far I haven’t heard back from anyone who has actually made these using a crock pot, but I know of some who have cooked them in a pan and then transferred to a crockpot to ‘keep warm’. I suggest if you want to do this, to loosen the sauce a little more by adding some broth (e.g. chicken broth), say a few tablespoons just so they stay nice. I guessed so Lizzy, but thought I’d better clarify!! This is really great! We play around with whatever herbs are best in our organic garden, various cream cheese flavors, and types of mushrooms. But we always have to add broth or some liquid. I’ve yet to have mushrooms that give off enough liquid that I can skip that! I’m glad you like it, and also to swap around with different herbs, cheeses etc is a fabulous idea! It is a funny thing that everyone can get different mushrooms with water content, but you sound like you get the idea by adding enough broth to get a nice sauce. Thanks for your feedback and I’m glad you’re enjoying the recipe! It sounds absolutely wonderful Sav! I made this, doubling the sauce portion (not the mushrooms) and made a smothered chicken casserole. My kids LOVED it and have requested it again and again! THANK YOU!! That sounds like a huge hit if you got the thumbs up from the kids!! Your method would also work well with pork chops or boneless chops in the oven too if they are pork fans! Thanks very much for your feedback. I always love to hear, especially when the children are enjoying the recipes too! Yes indeed you can Regina! I made these and loved them. I did find though that I had to add a little milk to it to get the cream cheese all melted and make a nice sauce. I served them over top of my strip loin steak, some asparagus and hassleback potatoes….The WIfe stock in my house went waaayyyyyy up! That’s great news it was a hit at home! It does take a little flexibility with the recipe for the consistency, since it will depend on the amount of heat and also the ‘wateriness’ of the mushrooms if that makes sense? But I’m glad you could get it to the consistency you liked. Steak is a great accompaniment with these mushrooms for sure! Thanks very much for your feedback and Happy Sunday! So glad I found this recipe! I never liked mushrooms until we moved to Germany. They have mushrooms like this at their fests and that is where I started eating them. I love them like this and I can’t wait to try your recipe! Thank you Kimbee! I live very close to Dusseldorf in Germany and my inspiration came from watching them cook mushrooms in the biggest pans I’ve ever seen! They are very popular for sure!! So glad you found my recipe and happy mushroom eating! How awesome! We’ve been back 4 months after 10 yrs over there and miss it!! You must visit there again! Since it was the first nice day, it was steak time….. have been waiting to make these for weeks! They were delicious, excellent recipe! Hi Jeremy, I’m glad you enjoyed them. Now you know they are quick and easy, hopefully you’ll get to make them more often. I had them again yesterday for Sunday brunch on some nice crusty toasted bread. Hope you have lots more nice days as Spring is on its way! I made these last night and really enjoyed them — thanks for the recipe! Thanks very much for your feedback Nicki, I’m so happy you enjoyed them! They look wonderful and also a great low carb recipe!! Those mushrooms looks so delicious! Cream in mushrooms makes for a great comfort food. Thank you Rini! Fortunately I managed to reduce the fat a lot and used low fat cream cheese so I could eat more 🙂 They are so delicious, they never last long on the plate!! wow these look decadent and amazing, i will def. 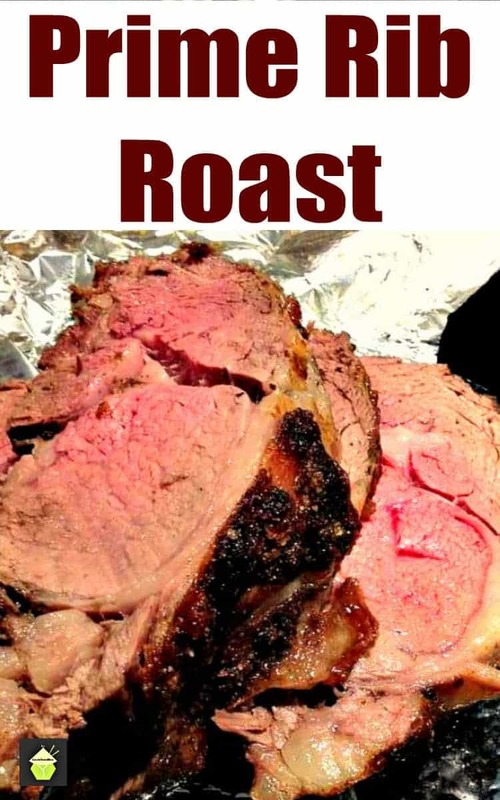 make this as a side for dinner on sunday! Hi Lizzy, I’m glad you like them! I had them again myself on Wednesday night. They’re so easy to make and everyone loves them, so I hope you will enjoy them too! This was amazing! I sprinkled parm cheese on top and added a little salt. I will admit, I am the only one that got a taste! Haha. Thanks for the recipe! Glad you enjoyed it and thanks very much for your feedback. Happy weekend to you! Creamy mushrooms are my favorite meal. I don’t think I can be trusted around this meal. I will eat the whole meal by myself and wouldn’t share it with anyone. Delicious!!! I added bacon and tarragon to mine. It was amazing! I would suggest that you edit your recipe about turning down the heat before you add the cream cheese. As I am a cooking novice, I would not have know about the separating qualities of cream cheese! I just happen to read other people’s comments, however, so my dish was perfect!! Thank you so much for sharing! Thanks very much for your feedback and oh boy! The addition of bacon is certainly a good one!! I’m very happy you enjoyed the dish. Also, thank you for your advice. I did make an amendment to the recipe and added a ‘TIP’ at the end of Step 2 about the addition of the cream cheese, so I hope that will help all our cooks! Thanks once again, I appreciate your feedback. I sliced the mushrooms, added a couple handfuls of greens, a splash of wine, and served it over quinoa. Delicious! Wow! what a great pairing!! I’m glad you enjoyed it Karen. This recipe certainly has many possibilities so please do go on exploring with it! These were fantastic. I didn’t want to share!!!! Hi Kay! I’m so happy you enjoyed the recipe! Hi Karen, oh yes indeed! I think the addition of pesto would be really lovely, in flavour and taste! I would suggest to add a little and taste as you cook, so you get the strength of flavour just how you like! Do you have to use all of the dry ingredients or can I just use basil? Will it still taste the same? Making these today and hoping the turn out. Hi! The list of herbs is just suggestions for you, of course you can choose to use any that you like the most. Please enjoy and Merry Christmas! Added slightly more cream cheese and for the herbs I did thyme, sage, and dill. YUM!!! Hi Jen, I’m so happy you enjoyed the recipe and your flavour combo sounds delicious. I am going to try with dill too! Double yum!! I haven’t tried making them the night before, my only worry would be they could go a bit slimy and ‘wet’ if left overnight and then reheated. I think because it is Christmas, I wouldn’t risk it (just in case they didn’t turn out nice ) They don’t take long to make, just a matter of minutes, so I would just do them on the day. I hope this helps and I wish you and your family a wonderful Christmas! I want to make these to take to Christmas. Roughly how long will it take the mushrooms to cook? I don’t want to over or under cook them. And to keep them warm in the oven, what temperature would you suggest to keep the oven at to prevent them from getting over cooked? Thanks ! Hi Shannon, depending on how many mushrooms you are going to cook, my recipe will take around 10 minutes to cook. Longer if you are cooking more of course. For the oven, make sure you pop the mushrooms in an oven roof dish with some foil covered, or a lid, to stop them from drying out. The temperature only needs to be on low, around 300 F, I would suggest for not more than 30 minutes. You could also add them to a slow cooker to ‘keep warm’ once cooked, and they should stay nice for longer. I must have had some really dry mushrooms, there was not enough juice released but after adding a bit of chicken broth, it looked a lot more like yours! It smells really good, and I did throw in some crumbled bacon. Thanks for a nice addition to made for dinner! Hi Pat, that sounds lovely with the bits of bacon too! You are probably right with the mushrooms, as you know, they will vary so adding a little broth is a good idea. Mushrooms can be tempermental, cook them too long and they will dry out, and don;t cook them enough, and they wont release their juices! But I’m glad you got the recipe working for you!! Made these with Jalapeño cream cheese. Came out delicious. .
wow! Hi Lisa, that sounds delicious with the jalapeno flavour! I’m so happy you enjoyed it!! Hi! This recipe was amazing. I wouldn’t change a thing. It is just perrrrrfect! Thanks Carina! I’m glad you enjoyed them! This was delicious, I added a half cup of chicken broth, red onions, and jalapeños. Definitely will be making this again! That sounds delicious! I’m glad you enjoyed it! Thanks for your feedback. Great recipe and so easy. Loved it!! Thanks Sally, I’m glad you enjoyed it! These were soooooooo good! I will be making these again and again! Glad you enjoyed them April! So simple to make, I’m definitely trying it out!! Hi Suzanna, Thanks for your feedback. It sounds as though you may have had the pan on too high heat when you added the Cream Cheese, which can cause it to split and go a strange consistency. I’m glad you fixed it though! Next time you make the recipe, just before you add the cheese, turn the heat right down to low, and add the cheese and stir very well until it becomes liquid and you should be fine! I’m so glad we got the thumbs up from hubby! I followed the instructions as written and mine definitely didn’t look like the picture and they were not creamy at all. It would have been nice to know that the heat should have been turned down from medium heat before adding the cream cheese. Not sure if I’ll try these again. Very disappointed. Hi Mzerep, I’m sorry to hear you didn’t enjoy the recipe. It’s always difficult to specify the exact temperature to cook on a stove top, as everyone has different size heat rings and power, however, due to the feedback, I have added a tip in the recipe which should help to avoid any splitting of the cream cheese. 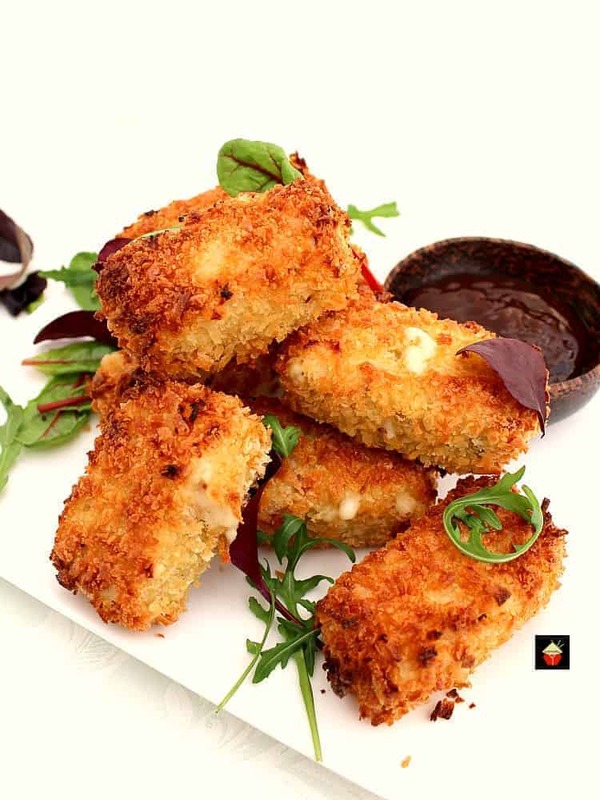 I hope you will try the recipe again, I always think cooking is all about learning and finding ways which work for you in the kitchen, and this is a delicious recipe. So I am of course sorry that you found the recipe not detailed enough. It looks awesome and testy .because I like too much mushroom. Hi Ganesh, thanks very much for your kind words. Please do enjoy! This looks like the delicious garlic mushrooms found at many festivals in Germany. I miss them, so this recipe will be a perfect way to reminisce and share! I may also add something like crawfish (I love them, as you can see!) to the sauce. Thanks! I’m glad you like the recipe Dee Dee! Nice pic! Hi Barbara, yes indeed! You could certainly make this ahead and keep warm. As you can see from the recipe, it is very quick and easy, the only thing I would suggest thinking about, if you are using the crockpot, is the mushrooms do not get too ‘watery’ when they are sitting in there for so long, which can affect the creamy sauce. You may need to add a thickener like cornstarch at some point if that happens, but you can judge how it’s looking as they are in there. I hope you will enjoy them, and do let me know how you get on, should you decide to make them in the crockpot, so we have your suggestions if any! Thanks very much and happy cooking! These sound yummy! I can’t wait to make them! These mushrooms sound really delicious. Love the simplicity of the recipe too. Thank you Mary! I know my family will love these. They look scrumptious! Thanks very much Susie! Hope we get the thumbs up from your family!